Finally getting a chance to post this entry from last night! It is warm – I only have 2 layers on tonight – wahooooo! We couldn’t believe it when we hopped out of the car at Isisford at 6pm tonight and didn’t have to instantly reach for the beanie’s and extra jumpers! We have had a looooong day today! 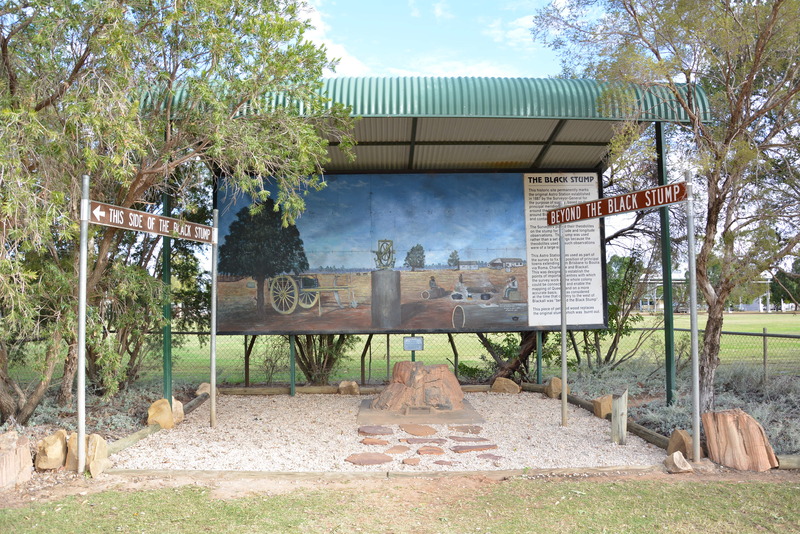 We set out from our free, beside the road camp, just out of Charleville at just before 9am this morning and only pulled in to Isisford at 6pm. We survived the ‘night in the middle of nowhere’ free camp without any incidents except something had a chew on my thongs and our rubber floor mats during the night! 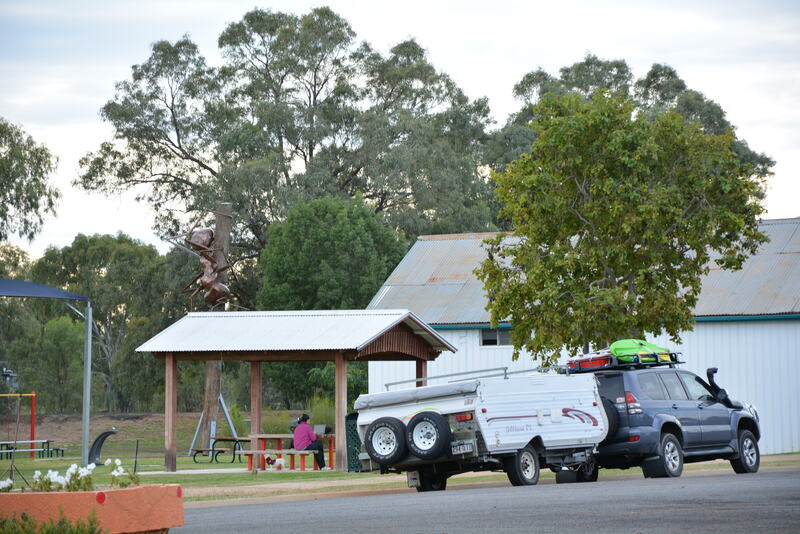 Our first stop was at Augathella for a toilet stop (as a side note all the public toilets we have used have been really clean out here – and it is a nice feeling knowing I won’t be cleaning a toilet for the next 7 or 8 months!) 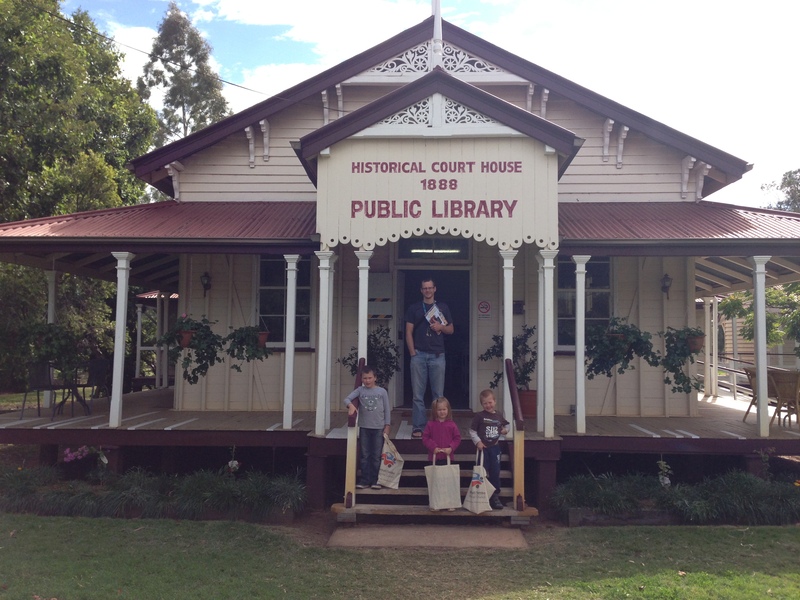 and to have a look around town and publish last night’s blog while we had reception. 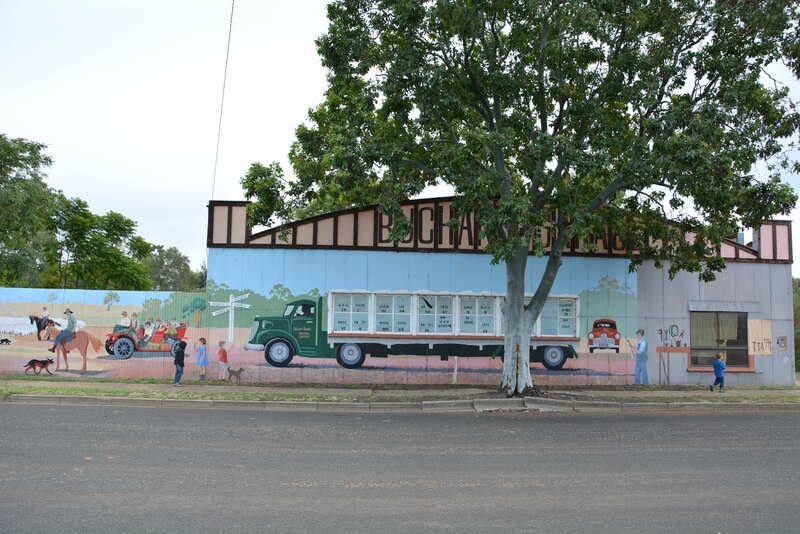 Augathella was such a pretty, tidy little place but very quiet – the kids wanted to know where all the people had gone as lots of shops seemed to have closed down – perhaps as the highway no longer goes through there. 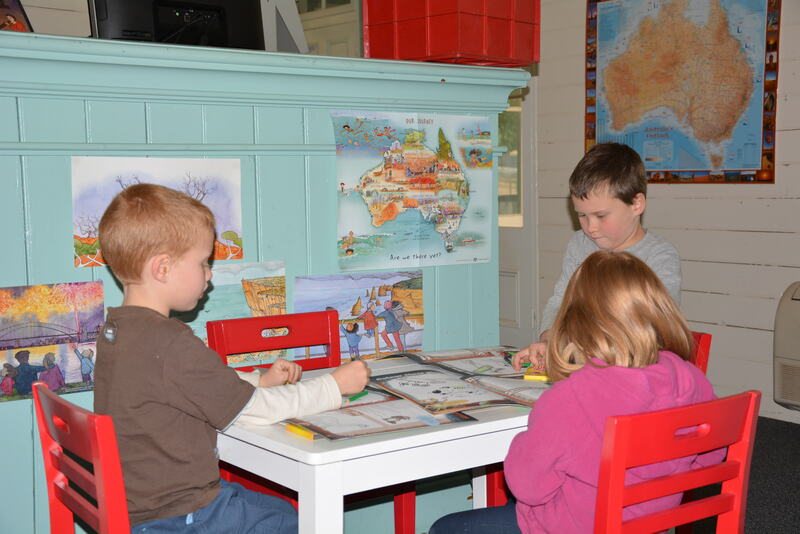 The next stop was Tambo for lunch where the kids were spoilt at the Visitor Information Centre with new colouring in books and a packet of smarties each! 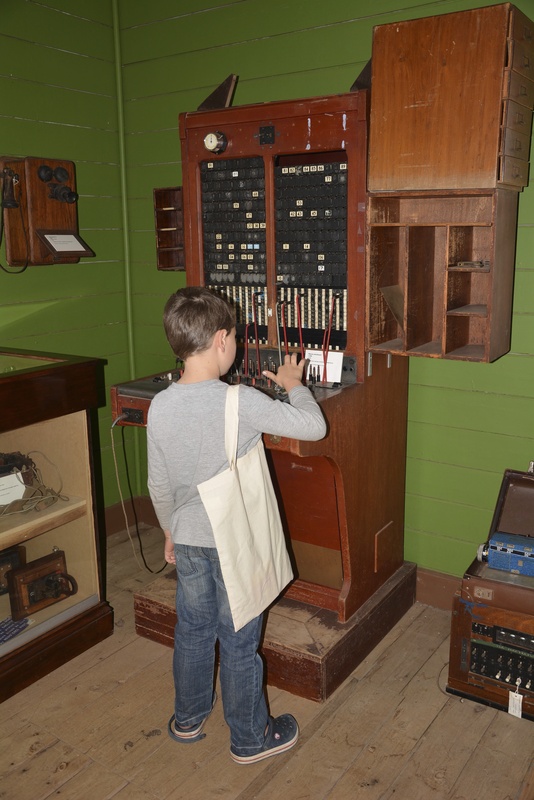 We had a little wander through the historical post office and telegraph office in Tambo which was free and quite interesting for the kids who learnt how to send their names using morse code on an old telegraph system. 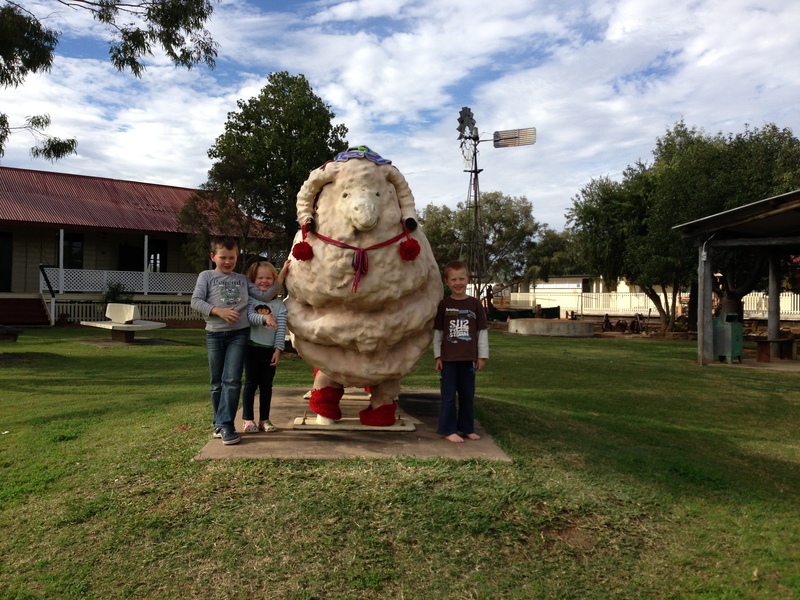 We checked out the ‘Tambo Teddies’ store – beautiful teddies but very expensive! 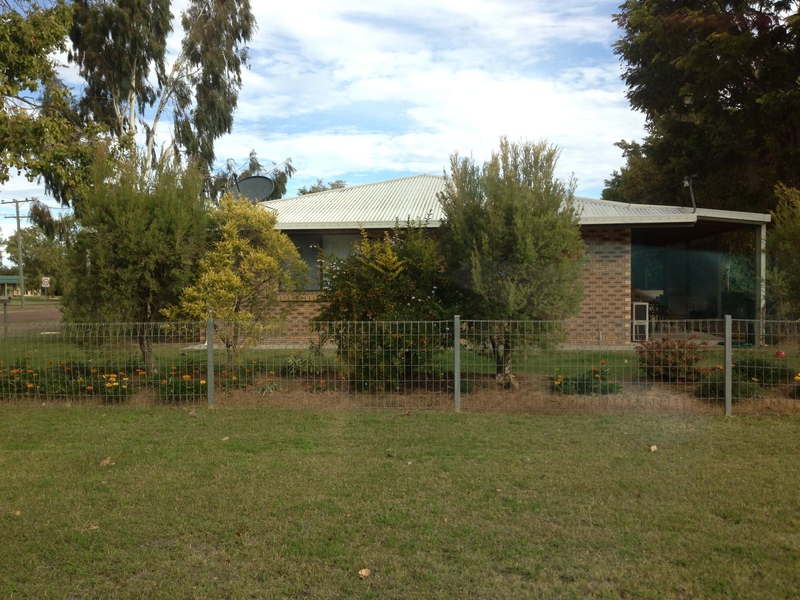 Another hour further down the road we stopped at Blackall which is where my uncle was a bank manager and lived with my cousins for a few years – we even tracked down their old house! 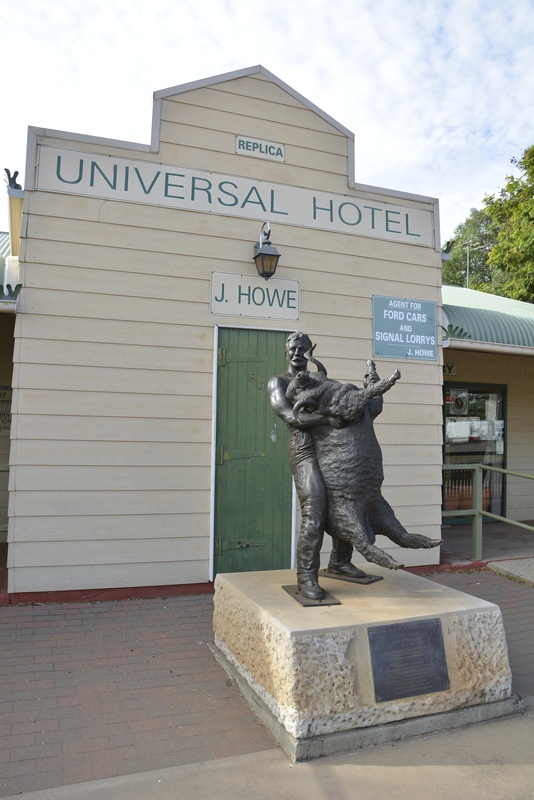 There was another great information centre in Blackall which the kids enjoyed and we loved seeing the Jack Howe statue – unbelievable that he was able to shear 321 sheep in 7.5hrs – a world record that has never been broken!!!! Things went downhill a little after Blackall as about 20minutes out of town we ran into another muster happening in the middle of the road. (Uncle Murray I’m blaming you for this because you said it makes for interesting reading!!!) 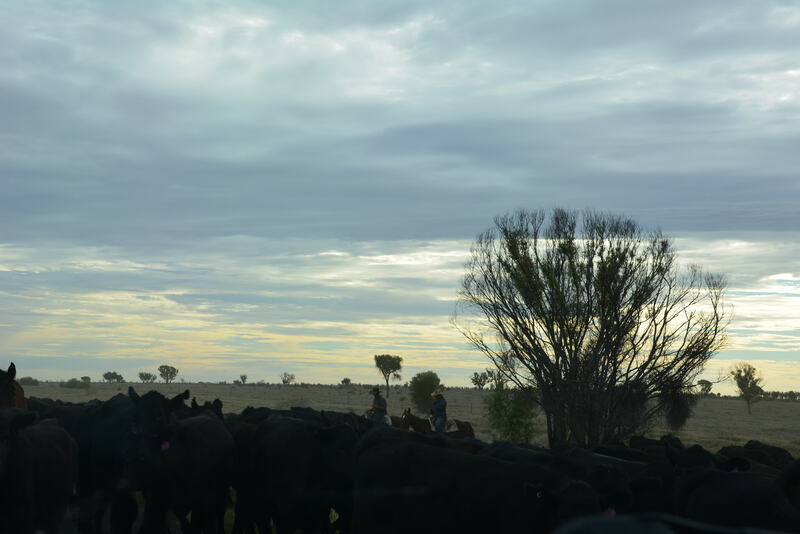 We were being very touristy taking photos and I was worried that I was in trouble when one of the men rode over the car, but he had come to tell us that while we were stopped to let the cattle pass by he had heard air hissing out of our left hand camper tyre. Aaaargh – sure enough the valve on the camper tyre was split and leaking all the air out of the tyre! So we pulled over – of course right in the middle of all the cow poo which Matt proceeded to stand in and put his hand in – and spent the next half an hour changing the tyre – but we are at least pleased to say we had all the right equipment this time and managed the change without drama!! However, this now meant that it was getting late and it was kangaroo time on the road – not ideal for us still to be out driving! Luckily though we ended up behind some grey nomads with their caravan and they hit all the kangaroos first (well – they only hit one, but that was one more than us!). 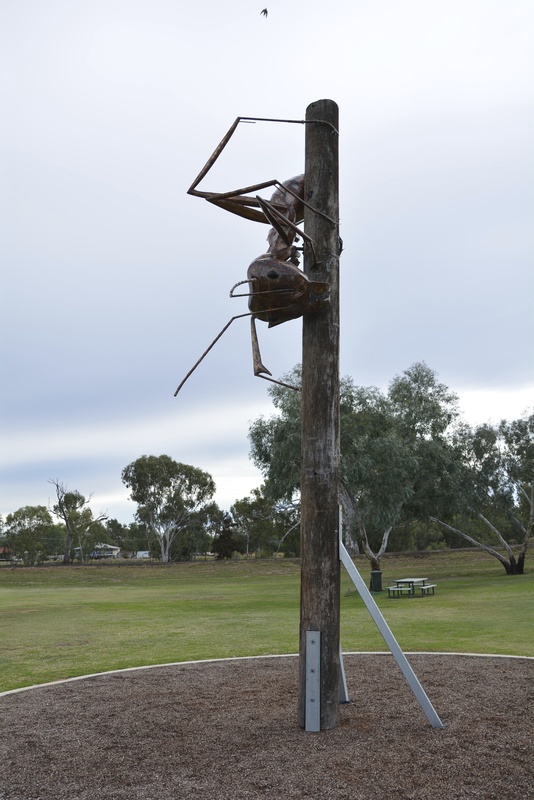 So when we arrived in Isisford it was quite dark. We drove down to look for a spot on the river but it was quite crowded so we just kept driving along the river track, and driving, and driving because we could not find anywhere to turn around with the camper! Needless to say we were all tired and grumpy by this stage, and hungry! Eventually Matt had to reverse the camper in the dark with me walking and guiding him until we found a tight spot to turn around! During all this Lexi wet her pants because she was busting to go to the toilet and couldn’t hold on any longer. When we finally just went back to the entrance to the campground and pulled up beside another caravan (they will probably be grumpy that we are camped so close but we will sort that out in the morning!) we were not happy campers!!! However, we are now all fed and have had our first hot shower in 3 days and we do not need to go to bed all rugged up so we are all feeling much better!!! I think we have done some big driving days and would just like to stay put for a few days now, but we will have to try to work out our plans in the morning. Once again we are very tired – this sightseeing and driving stuff is hard work it seems hehehe! So, off to bed for me! 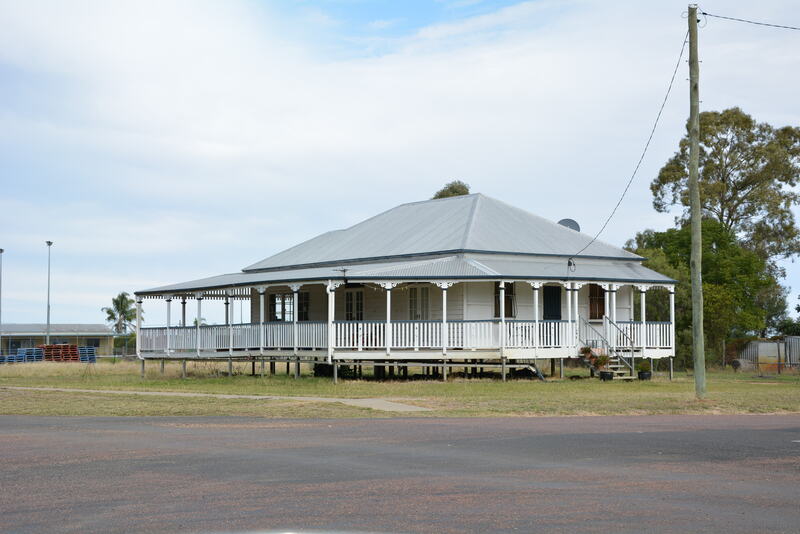 Here’s hoping QLD has a win in the State of Origin – we had thought we might find a pub to watch the game in tonight but it just didn’t happen!! Go the Maroons! Jess – not feeling cold for the first time and having a hot shower! 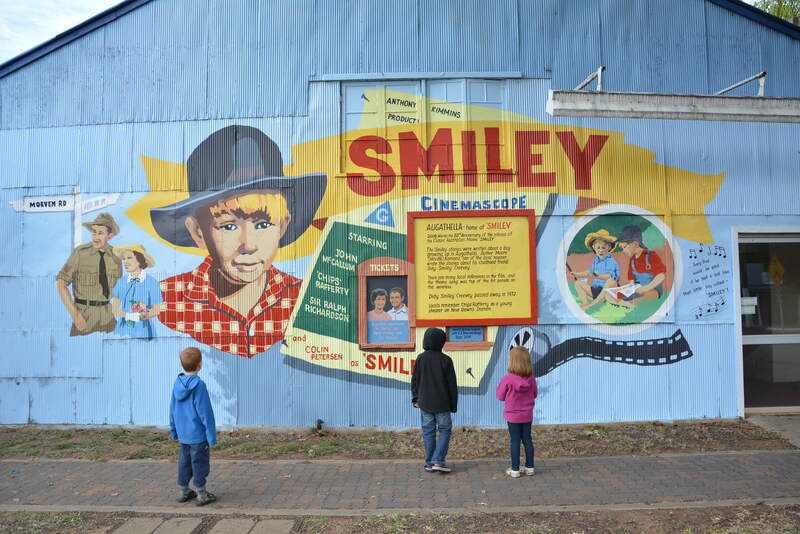 Augathella – the home of ‘Smiley’ – we will have to get a movie for the kids to watch! 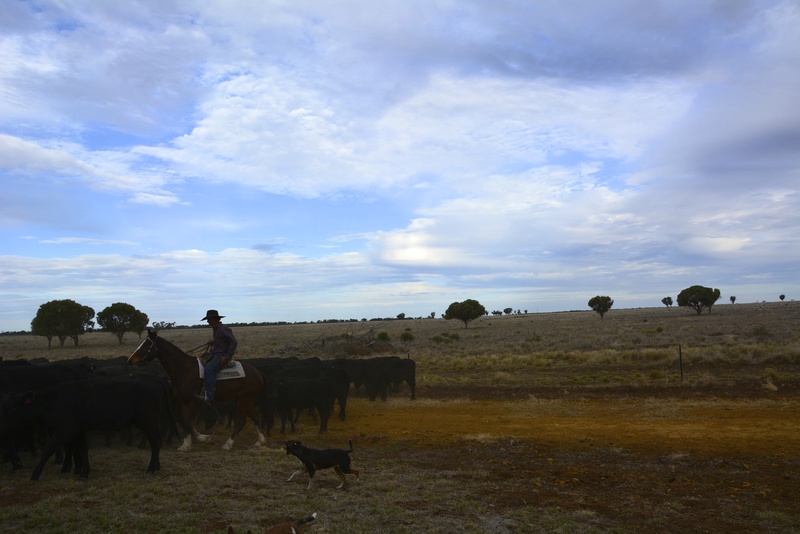 Loved the sound of the muster, cattle mooing, cattlemen whistling, horse with bell clanging, dogs barking – wish I had of videoed it! 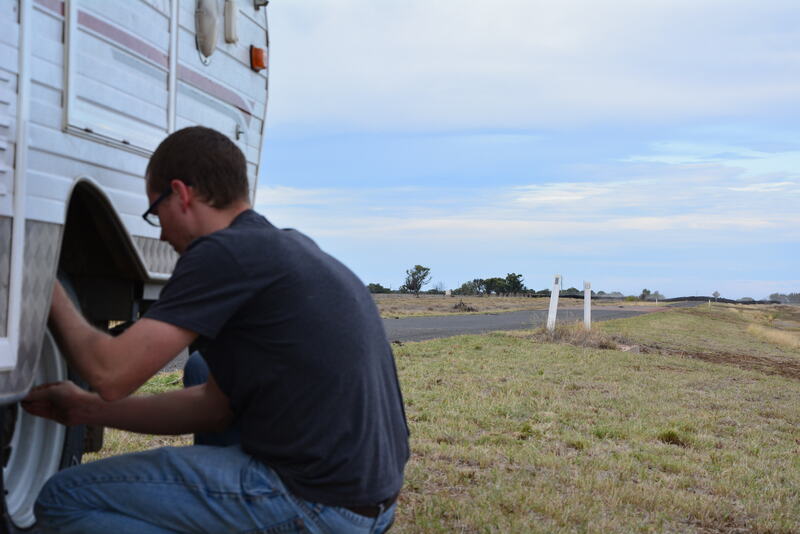 Matt changing the camper tyre – a success!